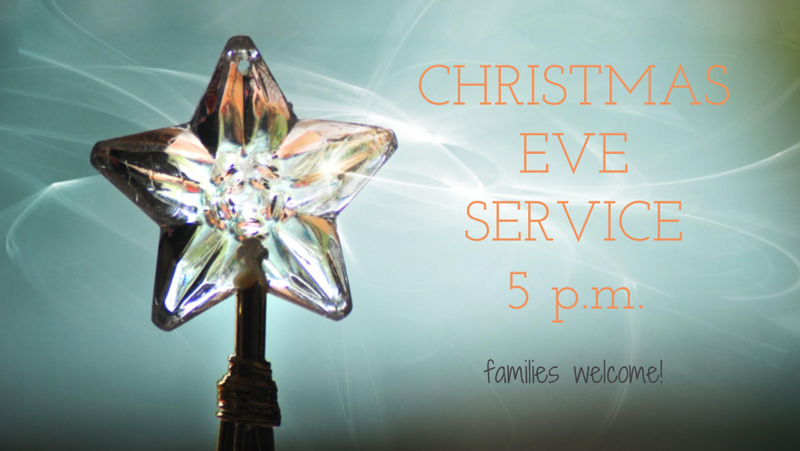 Our annual candlelight Christmas Eve service is at 5 p.m. in the Worship Center. This is a family service with children and adults worshipping together. The service will feature the singing of carols, a message from the Bible, and end with the lighting of candles.